LiveRez offers an exclusive real-time integration with QuickBooks, called the LiveRez QuickBooks Connector. This part of the LiveRez platform allows professional vacation rental managers to connect the information in their LiveRez vacation rental software to their copy of QuickBooks. 1. 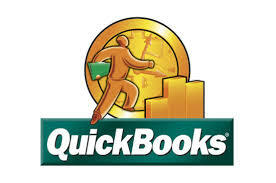 The Popularity of QuickBooks – With 3.7 millions users worldwide, QuickBooks is the most popular accounting software. According to Intuit, QuickBooks has a 95% share of the Business Accounting Category. A 2010 VRMA survey showed that QuickBooks is the most popular accounting software among vacation rental managers, being 8 times more popular than the next system. And, with the popularity of QuickBooks, more accountants and bookkeepers are familiar with it than any other system. 2. Real Time Connection – The LiveRez QuickBooks Connector offers a real-time connection between the LiveRez vacation rental software and QuickBooks. In fact, you can set up the QuickBooks sync to access your LiveRez system as frequently as once a minute. Other vacation rental software companies will advertise a QuickBooks integration, but many times that means they can provide you with a file format (like a CSV file) that can be uploaded to QuickBooks. With the LiveRez QuickBooks Connector, there is no manual downloading or uploading of files. 3. Trust Accounting + Operations Accounting – This real-time connection to QuickBooks allows managers to easily house both their trust accounting (owner accounting) and their operations accounting (business accounting) in one software system. 4. Reduce Double Entry – Because the QuickBooks Connector offers a real-time connection and has the ability to handle both your trust accounting and operations accounting, managers can avoid double entry. This means they don’t have to enter information into two accounting systems, rather than just one. 5. Accuracy – A real-time connection significantly reduces additional work like double entry, downloading and uploading files, copying and pasting information, and manual entry of accounting info. All these processes bring human error into play, which can affect the accuracy of your books. To learn more about the LiveRez QuickBooks Connector, please visit LiveRez.com/quickbooks or call (800) 343-2891.